It’s now confirmed folks. iPhone X, iPhone 8, iPhone 8 Plus are the names Apple will be using for its 2017 flagship smartphone lineup. The names have been confirmed by famed developer Steven Troughton-Smith who found them being referenced after digging deep inside Apple’s leaked iOS 11 GM firmware. 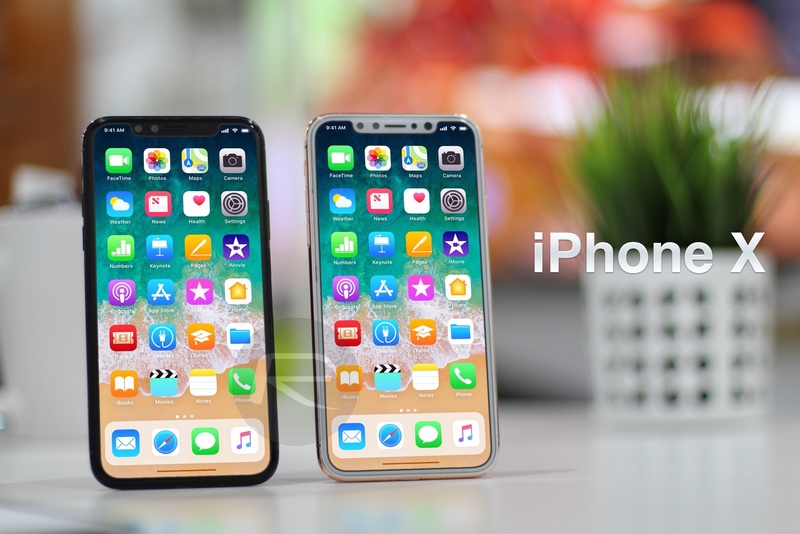 Many analysts and so-called experts have expected Apple to take to the stage at the upcoming September 12 media event and introduce iPhone 7s, iPhone 7s Plus, and iPhone 8. However, as mentioned earlier, references buried deep within the leaked iOS 11 GM, and exposed by Troughton-Smith, has now confirmed that the new devices will actually come with the iPhone 8, iPhone 8 Plus, iPhone X monikers. The iPhone X name makes sense given that it’s the tenth anniversary edition of iPhone and perhaps the biggest leap for iPhone since 2007. The developer has managed to expose the names by taking the iOS 11 GM build and using commands like fu to rip through the data looking for references to iPhone. As shown by the embedded image, this returned ‘iPhone 8’ and ‘iPhone X’, which pretty much gives us everything that we need to know about Apple’s naming conventions for 2017 lineup. It’s only a matter of days until we get an official introduction to 4.7-inch iPhone 8, 5.5-inch iPhone 8 Plus and 5.5-inch OLED iPhone X from Apple, and we don’t expect many more blindsides in that time. The iOS 11 GM leak will likely continue to give us additional insight into Apple’s plans, but there’s not much left up for debate now. What do you think of the new name? Is iPhone X befitting a name to celebrate ten years of smartphone excellence? Check out our comparison of iPhone X with all previous-generation iPhone models here: iPhone X / Edition Vs iPhone 7 Vs 7 Plus Vs 6s Vs 2G, More [Screen-To-Body Ratio And Size Comparison]. All these confirmed names for the next flagship iPhone. iPhone X sounds dumb and what are they going to call it next year.. ? I believe they will go with iPhone 8, iPhone 8Plus, & iPhone 8 Edition because it is an edition to this years reveal. You mean it’s an ‘addition’ to this years reveal? So much for squashing leaks. So what happen to the 7S? Can’t go breaking traditions like that.